Lawmakers are planning to issue a subpoena for a Justice Department official to testify about why the department requested a controversial, new citizenship question to be added to 2020 census forms. 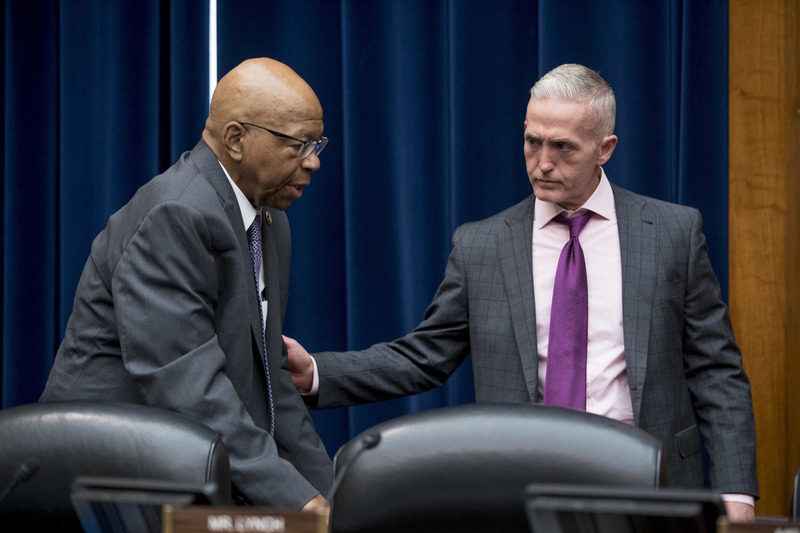 The House Oversight and Government Reform Committee had invited the acting head of the DOJ’s civil rights division, John Gore, to appear Tuesday at a congressional hearing about the upcoming national headcount. But Gore was a no-show. “Most of my questions were actually for the witness that did not come,” Rep. Trey Gowdy, a South Carolina Republican who chairs the committee, said during the hearing. Lawmakers did hear testimony from the Census Bureau’s acting director, Ron Jarmin, plus a former DOJ official under President Barack Obama and representatives from the Government Accountability Office and Commerce Department, which oversees the census. But Gowdy said he was “disappointed” to not see Gore, whose civil rights division is charged with enforcing the Voting Rights Act — the law that the DOJ says is driving its push for the citizenship question. A spokesperson for the Justice Department, Devin O’Malley, declined to comment to NPR on why Gore did not appear in front of lawmakers Tuesday. In December, the DOJ submitted a last-minute request for the citizenship question to Commerce Secretary Wilbur Ross, who approved the request in March. The DOJ says it needs a better count of voting-age citizens to enforce the Voting Rights Act’s protections against discrimination of racial and language minorities. Since the law was enacted in 1965, the government has relied on estimates of U.S. citizens based on a smaller Census Bureau survey currently known as the American Community Survey. But the DOJ says it now requires citizenship data collected from every U.S. household through the census. More than two dozen states and cities are suing the Trump administration to remove the citizenship question from the 2020 census form. They cite research by the Census Bureau that suggests asking about citizenship could discourage noncitizens, especially unauthorized immigrants, from participating in the census. The U.S. Constitution requires a headcount of every person living in the country, regardless of citizenship or immigration status. That census information is used for reapportioning congressional seats, drawing legislative districts and distributing an estimated $ 800 billion a year in federal funds. As part of their review of the citizenship question, Democrats on the House oversight committee have been trying to obtain internal documents from the Census Bureau and Commerce Department. NPR has filed a Freedom of Information Act request for those same documents. During Tuesday’s hearing, Jarmin said the Census Bureau has been advised by attorneys to hold off on releasing the documents until they are filed with the federal courts as part of the lawsuits over the citizenship question. Rep. Elijah Cummings of Maryland, the top Democrat on the committee, said the delay “constrained” the lawmakers’ inquiries. He also expressed disbelief in the Trump administration’s reasoning for the citizenship question – to protect the rights of voters. “Give me a break!” Cummings exclaimed. A follow-up hearing on the census has been scheduled for May 18, to “hear from Mr. Gore, whether voluntarily or otherwise,” Gowdy announced.